When we talk about workplace safety, we tend to focus on ways of improving individual safety performance through awareness of safety blind spots and potential hazards around the worksite. This includes maintenance processes that prevent equipment malfunctions which can place employees in danger. However, often times the maintenance work performed to keep people safe is just as dangerous as everyday tasks on the job. Recently, a 37-year-old contract worker died at the ExxonMobil refinery in Beaumont, TX. At the time, one of the crude oil units in the plant was shut down for a 90-day turnaround, which is a thorough maintenance procedure in which large equipment is completely taken apart and examined to determine if repairs or upgrades are required for any of the parts. The deceased, employed by an industrial engineering firm that specializes in the planning and construction of refinery overhauls, was rigging a replacement heat exchanger (a device similar to a car radiator) for a distillation unit with two coworkers on an elevated platform when a section of pipe suddenly broke loose and fell on him. Pipes used for these exchangers can range anywhere from 3 to 20 feet long and several hundred to several thousand pounds. Tragically, the falling pipe hit the worker in the head and neck, crushing him under the weight. This is not the first incident at this plant during a turnaround. In 2013 a flash fire started in a heat exchanger during a turnaround, injuring 12 workers, two of whom later died from severe burns. OSHA cited ExxonMobil and two other companies a total of $45,600 for safety violations that led to the fire. We know that refinery work is inherently dangerous. One employee at this plant was even quoted, “They have an old saying: ‘Every safety rule was written in blood,’ meaning that every safety rule was made because someone died from something happening.” Although turnarounds are intended to ensure maintenance standards for machines and equipment so that they continue to function properly and keep employees safe, there are associated hazards that can put lives in danger as well. This work is beyond the scope of a refinery’s daily activities, with an influx of additional workers on site moving, cleaning, and building large equipment. Stays in Control: With all of the congestion and controlled chaos going on during a major maintenance effort such as a turnaround, employees must remain in control of their emotions and their personal safety. This is especially important when you are working with tight timelines, long hours, and in some cases, new contractor employees whom you barely know. These conditions often lead employees to rush or get frustrated, which then distracts them and puts them at higher risk of injury. Aware of Surroundings: Large equipment is being taken apart and moved around the worksite during a turnaround, so employees should be cognizant of where they are working in relation to parts above their heads and around them. Strategies such as taping off “no entry zones” can keep people out of areas that present the greatest dangers should an equipment malfunction take place. But first and foremost, during these times employees must demonstrate constant vigilance and attention to detail. 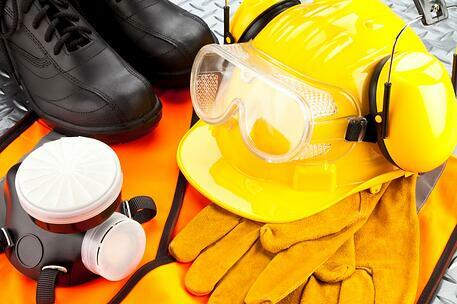 Follows Rules: Maintenance efforts ensure that units meet safety standards and don’t break down, so following all required steps in these procedures, as well as the general safety rules for the particular work setting, are vital. We are defeating the purpose of making the job safer if we do not adhere to all safety guidelines when fixing, cleaning, replacing, and upgrading equipment. Exhibits Caution: Because there are so many things going on around them during a turnaround, employees must be highly cautious and deliberate in their actions. Avoiding contact with workers and other parts when moving equipment, minimizing interruptions of everyday work, and various other components of maintenance work require careful planning and execution. We cannot rush through these processes or take any unnecessary risks just to save a few minutes. We should approach maintenance work just like any other task performed around our workplaces. Respect the power of the equipment, follow all safety rules, and identify the greatest safety threats and how to minimize them. Employees should not have to die in the process of making conditions safer for everyone else.